Hannah: Buddhism’s Untold Journey had it’s New York City premier at The Rubin Museum of Art last Wednesday night with co-director/producers Marta György Kessler and Adam Penny in attendance. 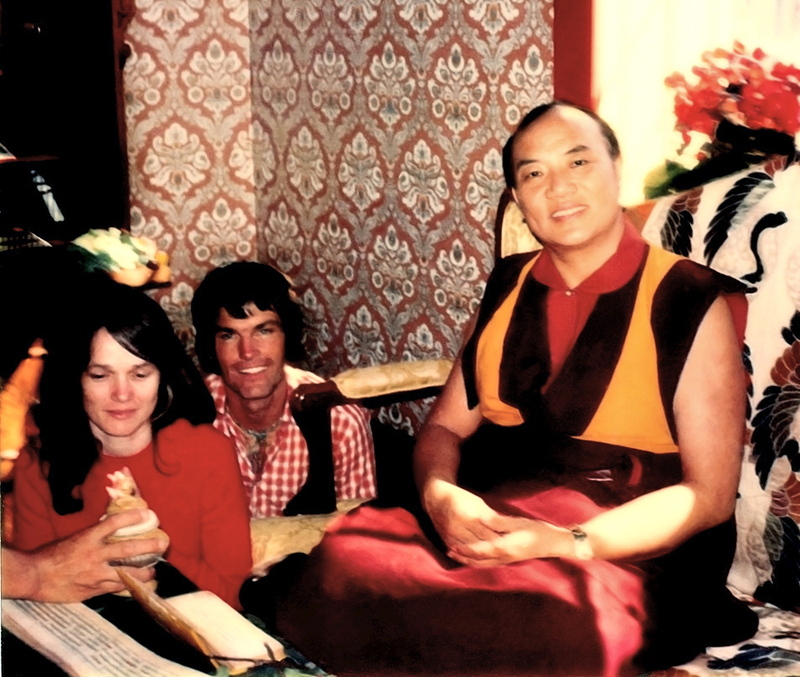 Hannah, a documentary and pet project by Kessler and Penny follows the life of Danish born Hannah Nydahl and her journey from her hippy college days in Copenhagen to her immersion into Tibetan Buddhism. The couple travelled to Nepal on their honeymoon where they remained and became the first Western students of the 16th Karmapa. Following a three-year period of study, Karmapa sends them back to Europe to share their knowledge with the West and open Buddhist centers in his name. Hannah and Ole eventually travel throughout the world establishing Buddhist centers and teaching up until her death in 2007. The film traces their travels as they introduce their Buddhist teaching throughout Europe and North America, through the fall of communism in Eastern Europe and Russia, to being kidnapped by guerrillas in South America. Despite a low budget Hannah: Buddhism’s Untold Journey is as cinematic as the best of today’s traditional documentaries, with its beautiful archival footage, an über documentary sounding score, and slick, well-paced editing. In fact, the film’s strength lies in its editing. Editors Simon Baker (Monty Python: The Meaning of Live) and Hamish Lyons (who worked on the editing crew for Madonna’s I Am Because We Are among other music videos) have managed to cohesively condense, with seamless agility, five years of work including over 59 interviews and hours of archival footage that includes countless hours of Nydahl’s own audio recording and films. As director Adam Penny states, they used the abundance of material that Hannah left “ [to] allow Hannah to tell her own story”. These editors know their craft, and they are able to successfully pull this film together, with the result feeling far from manipulative. Hannah almost seems to be alive, as if she were part of the project from the first two years of research to opening night. The footage, interviews, and words of Hannah show us who she was as an important figure in Western Buddhism. Unfortunately, Kessler’s love and devotion to Hannah Nydahl may have blinded her duty as an objective director. She fails to provide viewers insightful details or history of Hannah with any adequate human dimension. We walk away not really knowing who Hannah was outside of her work in Buddhism. Yes, she was a good person, (“always calm,” as Barker states) but who was she before she discovered Buddhism? What was her life like growing up in Denmark? What were her parents like? What was her general psychological makeup prior to Buddhism? Her sister appears on screen with an occasional comment, but she never reveals anything really human or relatable about Hannah. There is no doubt that Hannah was a lovely human being, and a highly respected woman, but unfortunately the Hannah we are given is not all that interesting or compelling. 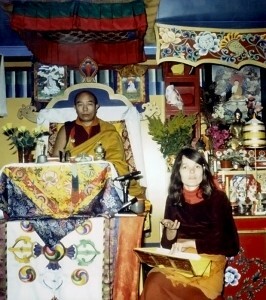 Kessler, a Buddhist, who worked with and followed Hannah and her husband Ole for 15 years is obviously deeply connected to the subject of her film, but maybe a little too connected to her idol. While this low budget film has effectively produced a cinematic look and score that can at times feel slightly overbearing—as if it’s trying a little too hard—it ultimately and appropriately complements the film. Hannah’s life story is an inspiration for its directors (and certainly other spiritual followers). Kessler states that when they were trying to decide how to “celebrate [Hannah], as a book or as a movie that celebration resulted in the form of a documentary, and I believe that was the right choice, if for no other reason then for historical documentation. However, for Buddhists, Hannah: Buddhism’s Untold Journey and the insight into Hannah’s work is certainly something that will be interesting to watch, but for the casual viewer it might not hold enough compelling material to be universally engaging or spiritually converting—but then this viewer may be a hopeless heathen. 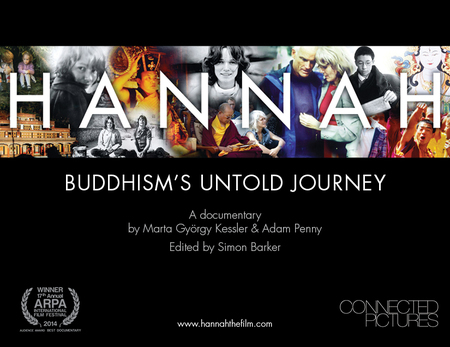 Hannah: Buddhism’s Untold Journey is currently playing at The Rubin Museum of Art on May 8 and 9.